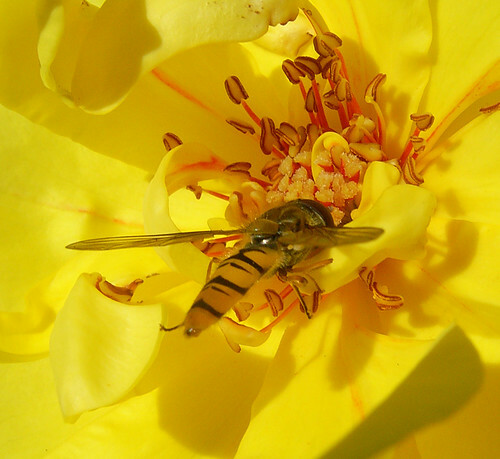 Crop of a macro shot of a hoverfly feeding on a rose. My goodness, that's gorgeous. That's the most three-dimensional 2D picture I've seen in a long time.